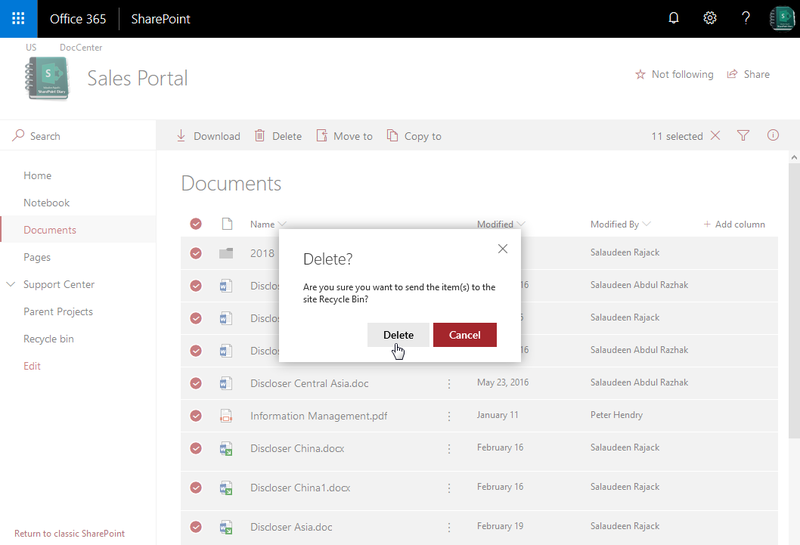 How to Delete All Documents in Library in SharePoint Online? 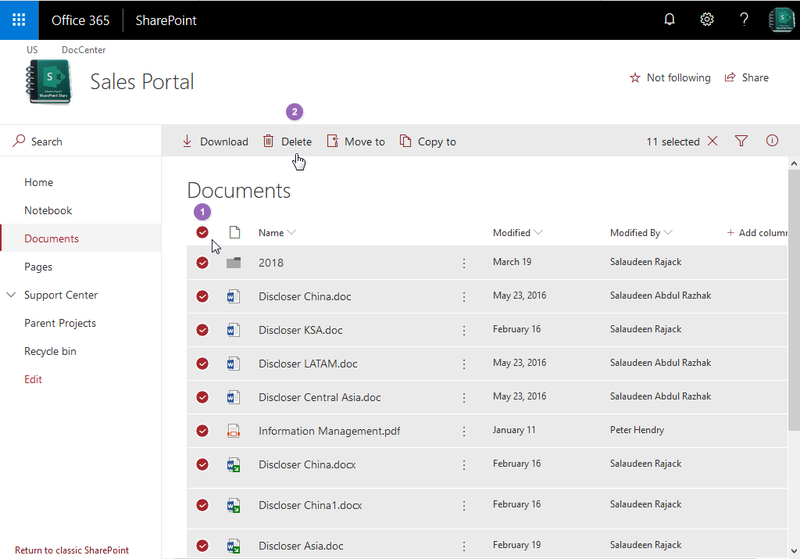 Navigate to your SharePoint Online document library in browser, hover over header and click the check mark to select all files. Click on "Delete" button on the top link bar. 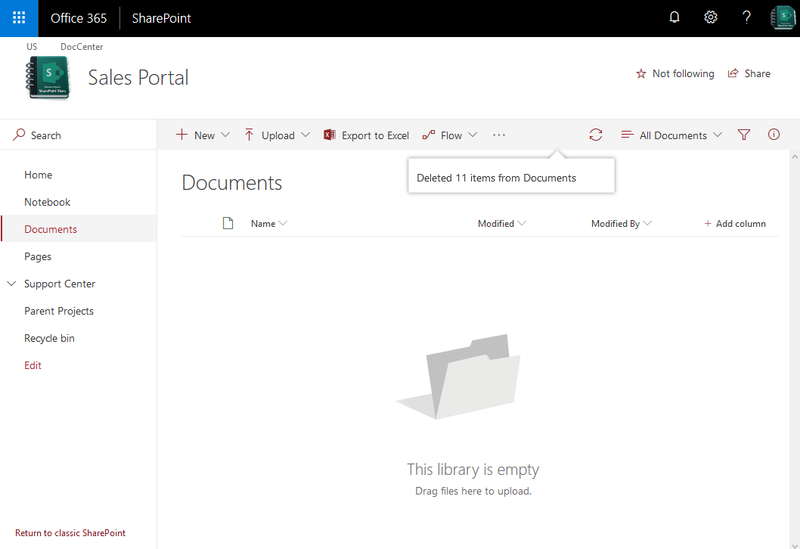 You'll find the little status box appear in the upper top of the document library telling you that the item has been deleted. This PowerShell script deletes all files from a given library - without deleting any folders in it! Please note, These scripts uses "Recycle" method to send files to recycle bin. You can use "Delete" method to permanently delete files!